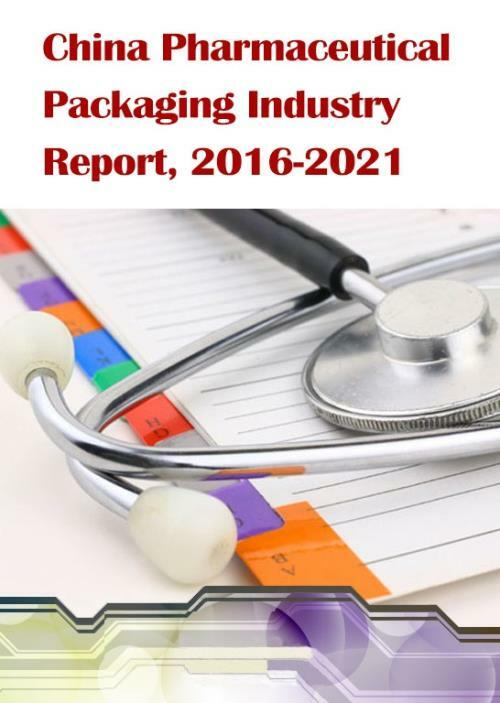 Under the impetus of the fast-growing downstream pharmaceutical industry, Chinese pharmaceutical packaging market size increased year by year at the CAGR of 11.2% during 2010-2016. From 2017 to 2021, the market size will maintain the growth rate of about 10% and is expected to outnumber RMB140 billion in 2021, thanks to severe aging, the released two-child policy, the rapid development of biological agents and supporting policies. More than 1,500 Chinese pharmaceutical packaging enterprises are mostly small and scattered, so the market needs integrating at once. Driven by the Guidance on Speeding up Corporate Mergers and Acquisitions of Key Industries and other policies, China pharmaceutical packaging industry has witnessed frequent mergers and acquisitions in recent years, for instance, Fengyuan Pharmaceutical acquired Chengdu PUSH Pharmaceutical, China Jianyin Investment Ltd (JIC) took over SGD, Chienyeh Pharmaceutical Packaging bought Nanchong Sanying Medicinal Packaging Material Co., Ltd. In this case, the concentration of Chinese pharmaceutical packaging market has been raised progressively. At present, Chinese high-end pharmaceutical packaging market is mainly occupied by BD, Gerresheimer, SCHOTT, Nipro, Amcor and other multinational companies, while the medium and low-end market is dominated by local firms. In recent years, higher pharmaceutical packaging standards propel local enterprises to intensify R & D, so they will gradually transfer to the high-end market in future. In recent years, China has introduced the standard system of the pharmaceutical industry, and attaches more importance to pharmaceutical packaging materials which affect storage stability and use safety of drugs. Naturally, new-type, environmentally friendly, biodegradable and convenient pharmaceutical packaging materials and containers have emerged. Neutral borosilicate pharmaceutical glass is the universally acknowledged best pharmaceutical packaging material. China has been dependent on imports of such material over the years. In order to achieve import substitution, China has issued "Twelfth Five-year Plan" for Pharmaceutical Industry and other policies, which stimulated the accomplished mass-production of Cangzhou Four Stars Glass Co., Ltd, North China Pharmaceutical Co., Ltd. and other enterprises as well as the ongoing projects of Shandong Pharmaceutical Glass, Linuo Glassworks and the like in the field of neutral borosilicate pharmaceutical glass. Operation, pharmaceutical packaging business and development prospects of 8 Chinese companies. - The Chinese Version of this Report is Available on Request. 4.1 Shandong Pharmaceutical Glass Co., Ltd.
4.2 Sichuan Kelun Pharmaceutical Co., Ltd.
4.3 Guizhou Chienyeh Pharmaceutical Packaging Co., Ltd.
4.6 Tongyu Pharmaceutical Packaging Co., Ltd.
4.8 Shanghai Haishun New Pharmaceutical Packaging Co., Ltd.
Main Products of Shandong Pharmaceutical Glass Co., Ltd. Specifications of Marketed Pharmaceutical Packaging Products of Sichuan Kelun Pharmaceutical Co., Ltd. Specifications of Upcoming Pharmaceutical Packaging Products of Sichuan Kelun Pharmaceutical Co., Ltd.
Main Products of Guizhou Chienyeh Pharmaceutical Packaging Co., Ltd. Product Categories and Main Products of Shandong Weigao Group Medical Polymer Co., Ltd.
Pharmaceutical Packaging and Related Products of Tongyu Pharmaceutical Packaging Co., Ltd. Classification of Pharmaceutical Packaging Products of Shanghai Haishun New Pharmaceutical Packaging Co., Ltd.
Fundraising Projects of Shanghai Haishun New Pharmaceutical Packaging Co., Ltd.
Guizhou Chienyeh Pharmaceutical Packaging Co., Ltd.
Shanghai Haishun New Pharmaceutical Packaging Co., Ltd.
Tongyu Pharmaceutical Packaging Co., Ltd.